Naples backcountry fishing revolves around three major fish for most of the year. The fish we generally pursue are snook, redfish and tarpon. The tarpon is so exciting that it gets its own page but, don’t take the other two gamefish lightly. 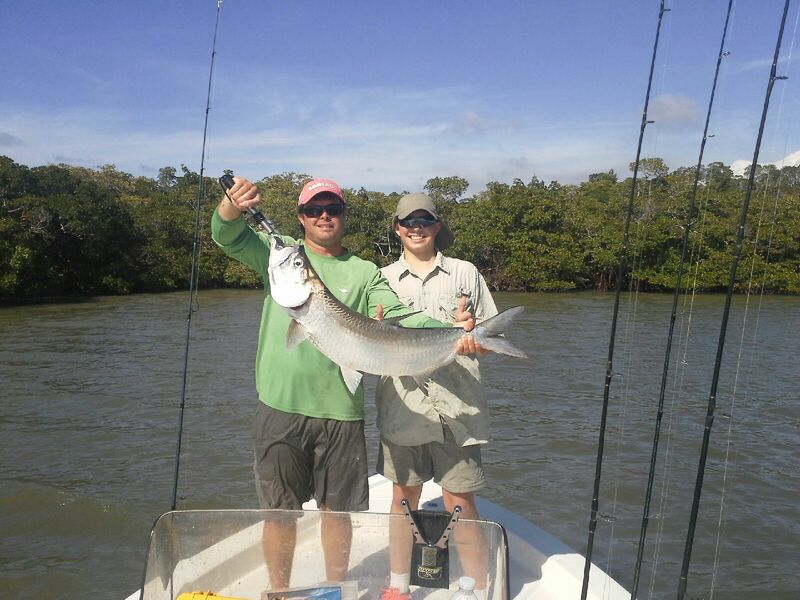 Snook are the most sought after fish in southwest florida. These fish are crafty and finicky at times, but once they bite they put on quite a show. Snook can be caught in a variety of ways. The most popular (and my favorite) is with live bait. The best time of year for snook mirrors the tarpon season. Early spring through late fall is the peak, but a water temperature in the mid 70’s is usually all we need for a successful day of snookin’. I typically use medium spinning gear with braided line to subdue these line-sided acrobats. For a real thrill, book a night trip during the summer months where we fish artificial reefs and wrecks for big “breeder” fish. Redfish can be caught in southwest florida year-round, though spring and fall are prime seasons. Redfish are typically very aggressive and cooperative when it comes to taking bait. Once hooked, they exhibit powerful runs using their large, heavy head to try and shake their way free. I typically use a medium spinning outfit with braided line to conquer these copper croakers.